Academics – Defined by principal/headmistress/academic coordinator lineage, average experience level of teachers, criteria for employment. Individual attention to child – Defined by Student Teacher Ratio, Parents Feedback. Safety/Security – Defined by Safety measures at Gates, CCTVs, Number of Floors, flooring/pool/play area safety, Bus safety standards, Parents Feedback. Infrastructure – Defined by facilities/amenities and quality of infra. Parents involvement – Defined by PTMs, Number of Events where parents are invited, Parents Feedback. 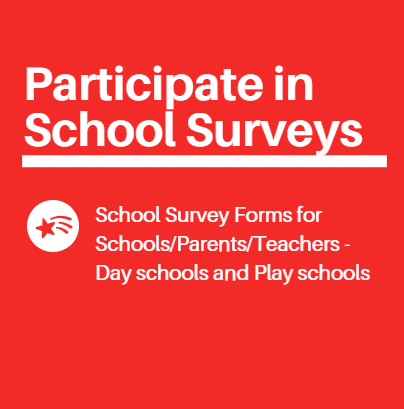 ‘Survey Form’ and ‘Parents Feedback and Desk Survey’ constituted 30% each while ‘Online Survey’ and ‘Social Analytics’ constituted 20% each. My child has been studying in SKS school since last 2 years. But after the Principal moved from there and after the recent planning to move kids to new block even after resistance from parents, we have decided to move on. We have liked lvis, pacific and BGS. What do parents of the school suggest? How is dwps school? I visited the school yesterday. Liked the staff and sports infrastructure. Other infrastructure like hall etc are just ok. Can parents from the school give their views please. From what I have heard from friends, pacific is definitely the best of all the schools in the region. Aster is value for money but then if we if ignore fees, is not worth top 5. lotus valley, dpws, Sarvottam are some other decent choices. For class 8th and 3rd, you may try lvis or dpws. Hi, I am staying in eco village -2 gr. noida west and thinking about ryan and aster, please suggest us which one is best school, my buget is upto 96k annually. If you are looking for school good in sports, go for Aster. Else the two schools are similar. Both lack individual attention but is even worse in Ryan. So take a careful decision. Pacific, LVIS shall be definitely explored as potential options. How is JMIS Delhi? I am thinking between JMIS and GD Goenka and wondering which is better. My fee budget is max 85-90k per year. JMIS is better. they have their own curriculum which is very well planned. If teachers happen to be good, JMIS would be a good choice. My child is studying in LVIS.Some makeshift infrastructure is in place for sports. And academics and security look good. But, individual attention is a problem because of class size. May I know what is their strength in a class? Came to know they have 28 kids in Pre-nur with teacher Wonder how they manage!! How is millennium school in comparison to sarvottam international? Millennium is better on academics front. However, infra is inferior. I am looking for admissions for next session. Fees is not an issue so pacific is my obvious choice. Any parent here who could tell if the school has any unknown issues? I am a parent of Pacific and quite happy with academics and other aspects of education. Only issue is that 9+ classes are yet to operate. Pacific should be your 1st choice in Noida extension, not even a year and people are convinced with the quality of services they are giving without compromising on fee( High fee as quoted by few).They have no-discount policy in fee and very focused about there future planning. They have constructed the rest of the blocks which they will be using in future as they go for 10th (in a year )and 12th classes . How is blooms school for overall development for a girl to go to nursery from next session. You may try aster first else go for bloom (if budget is a constraint). Bloom is good school they are very focus not money oriented business. I have liked pacific, lvis and dpws the most. I am keen on finalizing between these schools. What do you feel on fees part and which school has better prospect. Any parents also who could advise me on these. The choices are quite good. I assume you are looking at a long term prospect where all these 3 are the best available options. I advise you to look between pacific and lvis among these three. if you are ok with fees, pacific might be the best. else lvis. Fee is more or less same for both LVS and Pacific World,Admission fee of PWS is 20k less than LVS and they dont have other hidden charges.They provide meal in Pre-Primary Classes included in tution fee. DPS Indirapuram has been considered as second best school in Ghaziabad next in times survey. No doubt pacific world school has a strong academic hold in the region. Yes, I liked pacific too. Very good and completely done infra. Teachers are also very accessible and I heard parents views are also considered. Are you considering the school? I have really liked PAcific a lot. Very good infra, very pleasing staff, open areas and extremely well thought of play areas. My only concern is on fees. Do you think its worth? For a teacher(Tgt or Pgt) which out of these would be a better option ? If there are any teachers in this circle or anyone having an idea. In terms of pay scale, management etc. I will be shifting soon to Noida extension and have already been working with one the best schools in Delhi from past few years. Dpws is good and so is Pacific-culture is good at both places. Lvis is also good for long term. Pacific is one of the best paying schools in the region. DPWS and LVIS are next. I visited around 12 schools over last 3 weekends. Finally I have shortlisted Dpws and pacific world school. I am tempted towards pacific world school but fees is on higher side. Parents of these schools, please advise. Hi, As a parent of pacific World I feel its worth paying for a school which has so many things to offer. You don’t have to shell out money for every activity or any event. All schools I visited earlier found that they have kept their tuition fee a marginal low from Pacific but they charge extra for every sports activity any event they plan like annual day ,sports day etc. Even I haven’t found such a well maintained campus . The Noida branch of Millennium hasnt done too well of late. It was initially a promising school because of the way they taught children was new. Results are decent but overall satisfaction of parents has declined. In Noida extension ,Millenium s is located far and bit isolated . I Would say both Delhi public world school and pacific world are good schools. If individual attention is a very big factor, choose Pacific. Else rest with DPWS is good since I can vouch for as an year old parent myself. I visited almost 10 schools in Noida extension for getting my daughter admitted in ongoing session. Of all the schools I visited, I liked Pacific world school and DPWS the most. DPWS has extremely good faculty and children are very confident. Pacific on the other hand has best infra and approachable staff. However, fees is more. So, I just need to finalize between these 2. Please advise members. Coincidentally, I have shortlisted the same set of schools. What have you finalized? Thanks.for sharing. How has been your experience with pacific? 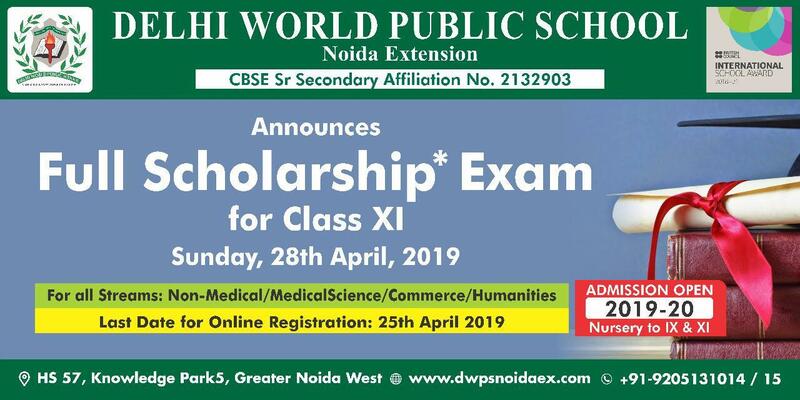 Pacific world school admissions for next session (2019-2020) are beginning from tomorrow. As a parent of pacific world school, I am very happy with the choice. As of now,student teacher ratio is very good so child is getting individual attention and getting to play all sort of games. No need to run for one academy to another as other parents do. Very understanding principal. Admission process has started in Noida extension. Dpws is first to start. Any first hand experience of any parent here? DPWS is a very good school. I am very happy with my daughter’s progress. She is getting lot of exposure. its not like they have to go to international trip. rather, international and national delegates and children are greeted my daughter at the school. faculty wise, very strong and one of the best. infra wise, its decent, still needs to improve. Admissions for next session i.e. 2019-2020 have begun in Noida extension. 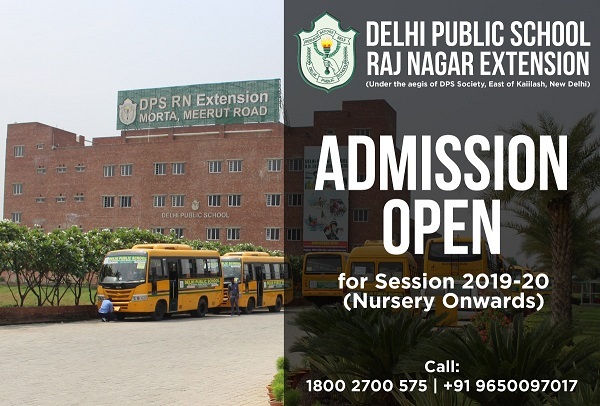 DPWS has initiated admissions from today. Any parents of pacific here? Would be good to connect. HI, My daughter is in nursery at pacific world school. I am very happy with her progress. Bloom International school is very good , Staff is nice and well qualified and best thing is fees structure is very decent compare to other schools and with decent academics…. After much deliberation between Lotus, DPWS and Pacific, I have gone with Pacific. The gentry of students is very good and the exposure to sports and co-curricular actvities is exceptional. I liked DPWS as well but if not for infrasturcture, I would have gone for it. A traditional academically good school-DPWS and Lotus are quite good choices given their experienced staff. 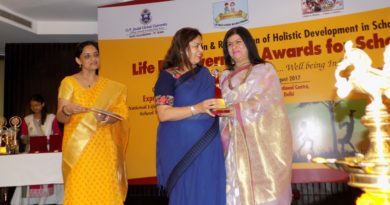 A school providing good exposure to inter school events-DPWS and Aster. Aster is more focussed on extra curricular activities. A school for holistic development with above average academics – Pacific is clear winner here. I agree with you Tanaya. I am really happy with the school. My first month experience as a parent of nursery class student of DPWS has been good so far. Teachers are really approachable and the principal, headmistress and other admin staff is quite experienced. Initially some.hiccups in his bus transport but now all’s well. The kid loves going to school and is growing into confidence. We get to interact with principal very often. Any parent here whose kid is going to Pacific world school? How is the school overall? I am confused between Pacific, DPWS and Aster for my kid. Lotus valley has planned too many sections for each class. So, the three only look like options to me. I really liked Pacific due to its excellent infrastructure and approachable teachers and it seemed like a transparent group. DPWS and Aster on the other hand have quite experienced staff. Go4Reviews ranks the school like DPWS->Aster->Pacific but just wanted to check with parents once. Please advise. All 3 are good options. Hi, my daughter is in nursery at pacific world school. I am happy that people are liking school so much. I am really happy with the exposure and attention she is getting in the school. Which is best schools from academics perspective? Dpws, Ryan, aster, pacific or Lotus? Experience wise, DPWS. Results wise, would be more clear by 2019 board results. Happy to share my 2 weeks experience with Pacific world! 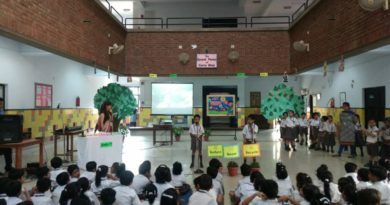 They are extremely organised in terms of uploading circular or H.W or any kind of communication on ERP,morning drop is supervised by the Principal everyday which shows her punctuality ,she is giving personal attention in every field .Recently they have celebrated Earth Day giving stage exposure to almost all students. I m happy to know that they are utilizing their most talked about huge infra. dpws, lotus, aster and pacific are best options in the region if you go by the quality and experience of staff. dps is still working on the building and would probably give a fight from next year. but based on my visit to almost all schools here, the 4 look like good options. Please advicw which school should I choose for this session. I know I am delayed but we will only shift here by may end. I visited few schools and having talked to staff, liked dpws, aster, pacific and lotus the most. However pacific is beyond my budget. So please tell between does, aster and lotus. Lotus Valley is ultimate choice. Shriram undoubtedly will be the best of all schools to come in the region. As of now, Aster, DPWS, Lotus and Pacific seem to be the most sought after choices. One must visit these schools at least once before concluding. I got my child admitted to Pacific world. And he joined classes a week late. The experience so far is good. Teachers are cooperative and individual attention is being provided. This to me looks like the best of schools starting this session. Its been almost 2 weeks since Session 2018-2019 started. Parents may share their experience of the first few weeks so that other prospective parents are benefited. No, DPWS is from DPS World foundation (and not actual DPS) that comprises of DPS alumni. One of the promoter of DPWS is also the same as that of Mayoor Noida. Hence, they have the required expertise. Faculty too is strong. On the other hand, Lotus valley is yet to establish itself in the region but has a brand name to it. You may want to visit both the schools and decide whats best for your kid. You must try pacific as well if you are trying lotus valley. Pacific is from DPS Indirapuram that has shown excellent academic results. Also infra is great and student teacher ratio is low. I agree. But remember, individual attention has always been an issue with LVIS. 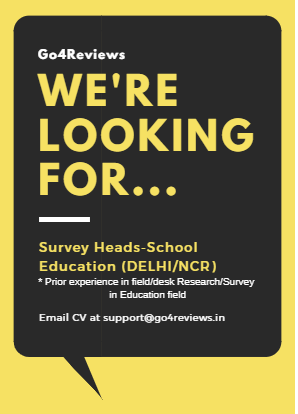 Go for it if academics is your main concern. hi members, I visited ASTER, DPWS and SARVOTTAM. I didn’t like sarvottam at all. Too much of interference from college nearby. Also, teachers not very sound and neither approachable. So, I need to choose between aster and dpws. since session is starting from 1st, I am really concerned now. please help me chose. staff of dpws definitely seems better while aster is near to my place. please suggest. After lot of deliberation since a month and visiting almost 80% schools in Noida extension, I finalized dpws for my daughter. excellent staff and very approachable senior staff. Can anyone suggest a school in noida extension region for my 3 year old son? Acedimic and security are most priorities. You must see DPWS, Pacific and Lotus based on your priorities and decide on what looks best to you. Its too costly plus they are going to increase 10% fee next year .Means from next year it will be 12200 Tution fee and transport 3000. Pacific looks like a good choice for someone looking for individual attention tion for the child. What are the views of other parenta. About pacific. You should also try to.meet or be part of students in schools. I found DPWS students stand out, at least among existing schools. Only aster seemed close. I was happy about my choice of dpws which I took 2 years back. 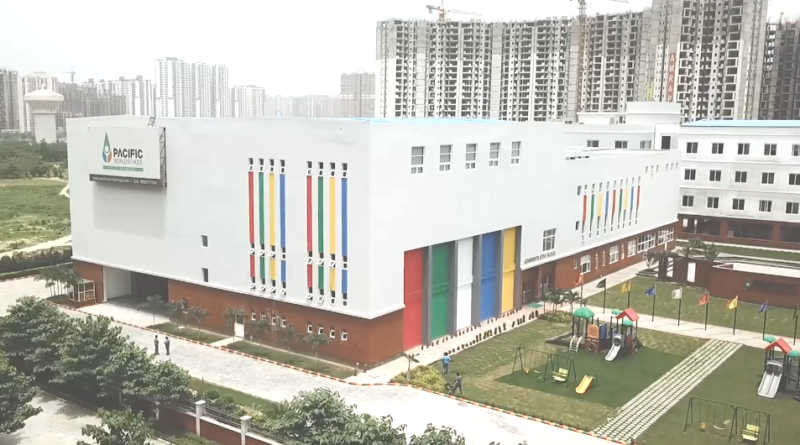 Request you help to know about Delhi Public World school (Noida extension), currently my son is studying in Mayoor Noida, however due to my flat possession I wanted to look some schools option their, DP World is look good option but I don’t know about the school staff, way of teaching, child safety etc. Your child is the student of DP world then can you please tell me the exact in and out about school. Please talk to teachers of schools in Noida extension. 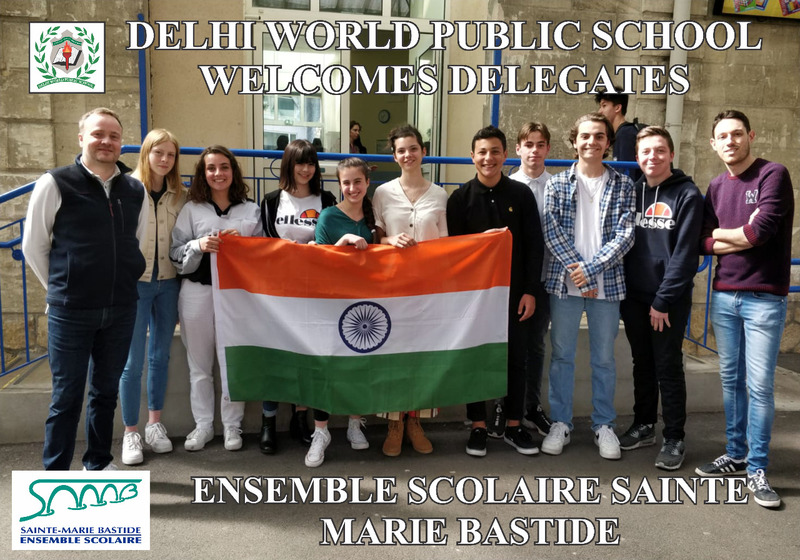 Delhi public world school clearly stands out. Most of the teachers including Principal and new Headmistress are quite experienced. Best part is they are very approachable. The school has improved upon security and safety substantially over last one year. The exposure to children is exceptional and that reflects in confidence. Unfortunately, none of most of other schools come close to it as of now.